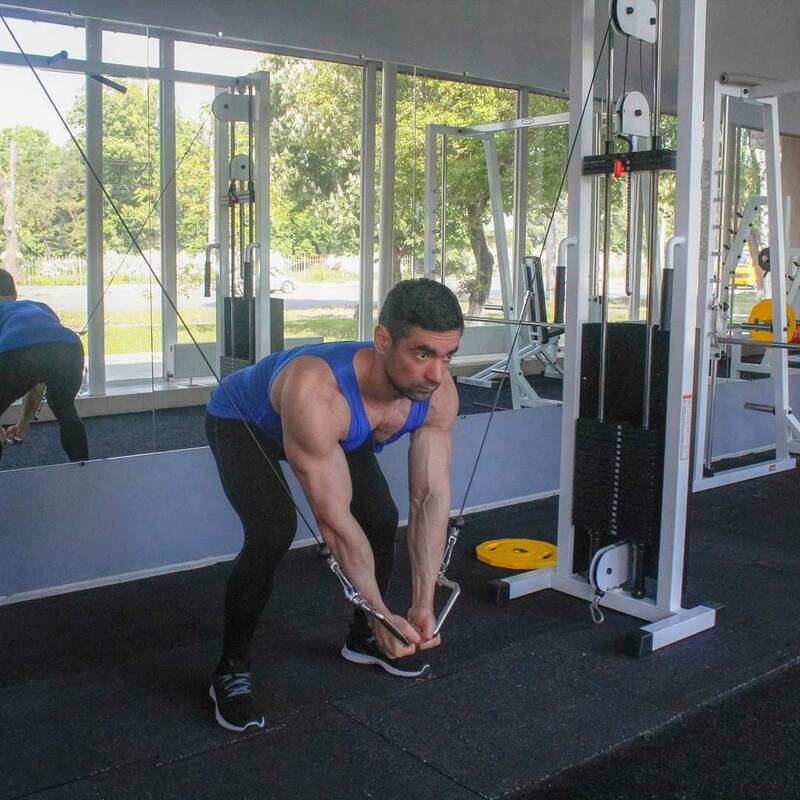 To take the starting position, select the appropriate weight to be used, hold the pulleys in each hand and lean forward until your torso is parallel to the floor. While pulling your arms together, keep your torso stationary. This will be your starting position. Keep your elbows slightly bend in order to prevent stress at the biceps. Inhaling, extend your arms to the side in a wide arc until you feel a stretch in your chest. Exhaling, bring your arms back to the starting position on the same trajectory. Lock your hands in this position for a few seconds. 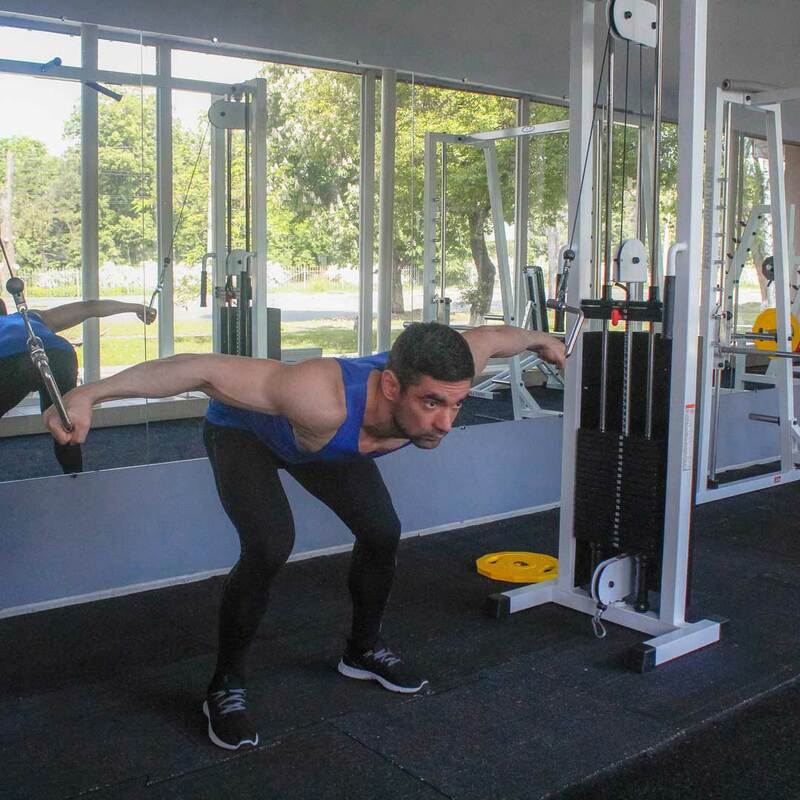 Perform for the required amount of repetitions.